Another small step has been taken in this past week in improving communications. 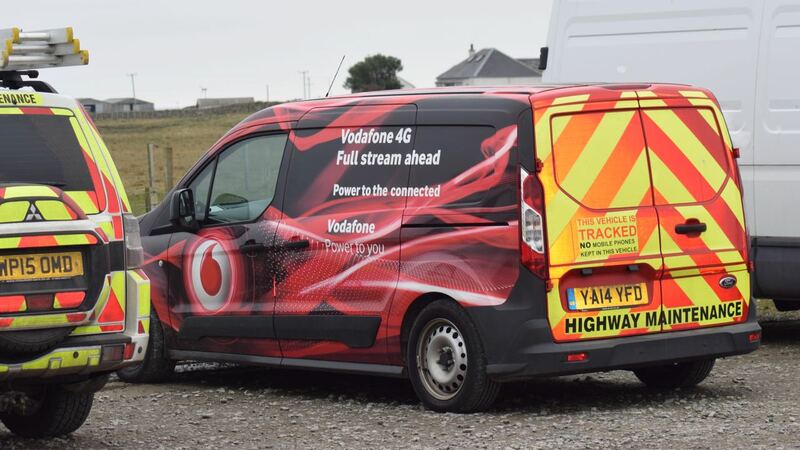 First of all, several areas of the Tiree saw an improvement in the Vodafone Signal with the Mast on the neighbouring island of Coll going live in 2015. For the first time ever, it is possible in some areas of the island to use your smartphone on 3or4G. As of this week Vodafone Rural Open Sure Signal has gone live on Tiree. One clear improvement in coverage is down by the Scarinish Hotel. Once a ‘not spot” there is now 3G coverage. This is something you will not find in Oban where the Vodafone signal is still 2G. Not only is the improvement in coverage a benefit to residents on the island, it is surely a boost to those coming to the island on business. 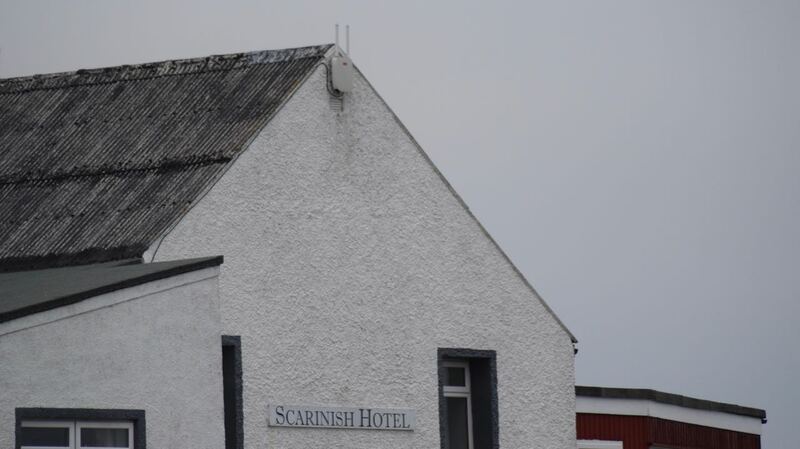 The Sure Signal device on the apex of the Scarinish Hotel. On a cloudy Thursday afternoon the cable laying/maintenance vessel ‘Wave Sentinel’ raised her anchors and headed south for Portland. Since Sunday she had been positioned east of Tiree in order to repair the damaged fibre-optic cable. Hopefully, this will mean that there will be no further delay in bringing high speed broadband to the island. For some there is a definite disadvantage at the Scarinish. One excuse will no longer be valid. This is ‘Life on Tiree’ communicating.